The PDI-200 is a two-channel passive direct injection box. It converts your HI-Z signal into a LO-Z signal. You do not need a battery or phantom power for this direct box. 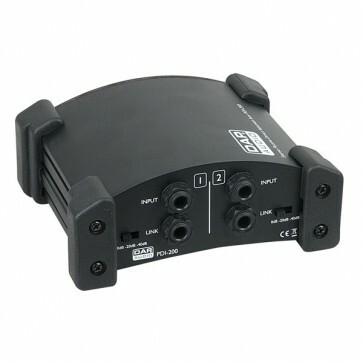 It has very wide applications, great for keyboard signals, acoustic & electric guitar signals and any other instrument signals that need to be plugged into a snake on stage.